Anandashram, 8/A Divakar Society, Nr. Diwan Ballubhai Primary School, Opp. Rajnagar Society, Paldi, Ahmedabad. 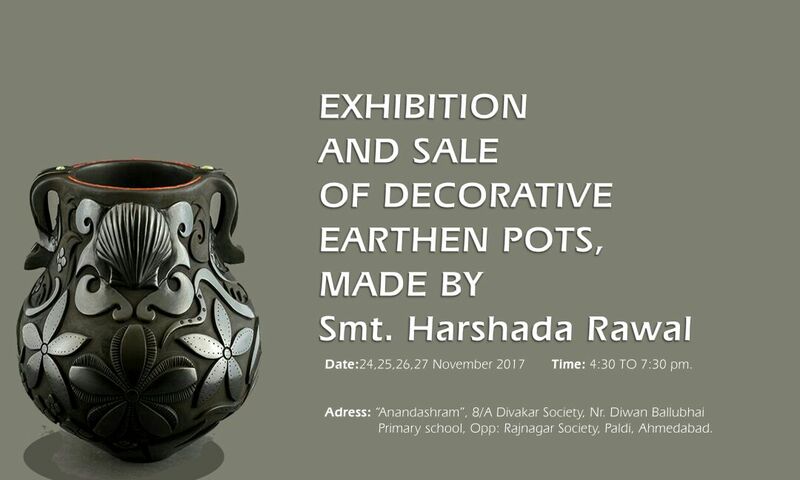 Exhibition and Sale of Decorative Earthen Pots by Smt Harshada Rawal.